Even if you’re just opening a can, make it fun with sassy serving dishes. No matter the meal, it’ll taste better when it’s attractively presented, especially when the serving dishes make you smile. 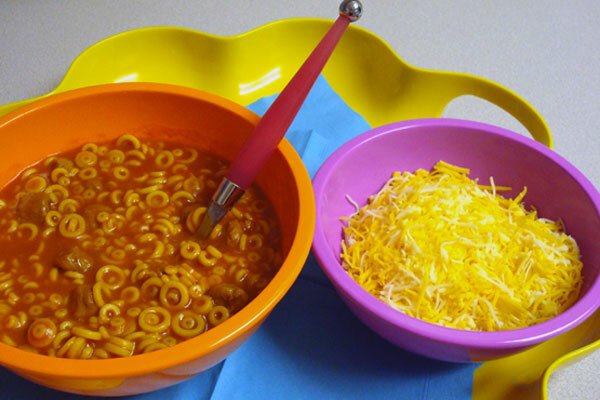 Here, a simple can of pasta rings with meatballs with a side of shredded cheese is elevated to a level of kitschy fun when it’s presented in brightly colored melamine bowls with a vibrant paper napkin and a curvy handled tray. Entry filed under: tips & techniques. Tags: fun with serving dishes.